Principal of Paralos Maritime Corporation S.A.
Mr. John C. Lyras is a principal of Paralos Maritime Corporation S.A., and has been involved in shipping since 1975. He comes from a Greek seafaring family with a tradition in shipping that goes back four generations. He has served as President and Vice President of the Union of Greek Shipowners (UGS) and has been a member of the Board since 1979. He is Chairman of the UGS Foreign Affairs Committee. 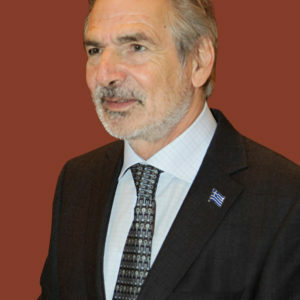 He has been President and Vice President of the European Community Shipowners Associations (ECSA). He has been involved with the International Chamber of Shipping (ICS) since 1982 and has served on the ICS ExCom and Board where he currently represents the UGS. He is a founder member of Hellenic Marine Environment Protection Association (HELMEPA) and past Board member and is a member of the Greek Committee of the American Bureau of Shipping and of Det Norske Veritas GL Greek National Committee. He is also a founder member and Executive Committee member of the Malta International Shipowners Association.